To change how your name appears in your emails, first, you would need to edit how your name appears in your Google Account settings. Here's how to change the name that is associated with your Gmail account. You can do it in your Gmail settings! 2. Click the Accounts tab, and look for the area that says Send mail as. Click edit info. 3. This will open the yellow window, shown below. Add the correct name beneath the existing name, then click Save Changes. 4. Click the Import Email Addresses to Mixmax button. 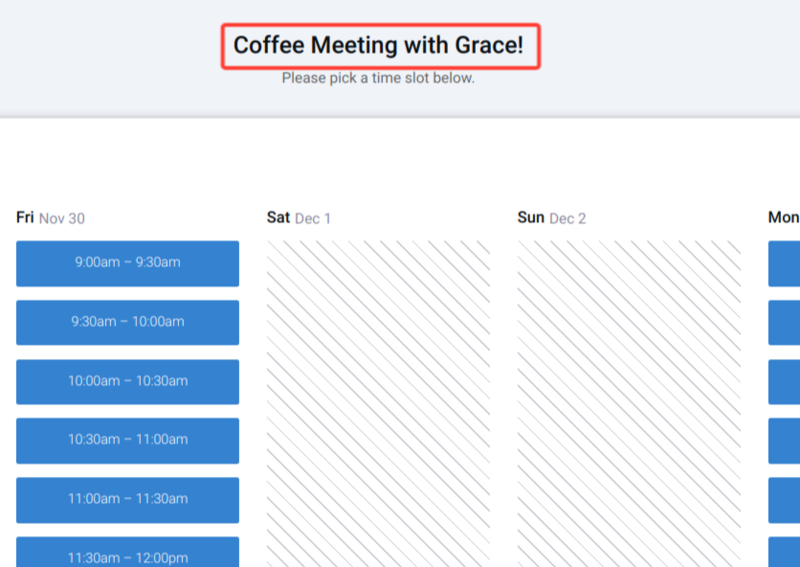 To change the text that displays at the top of your Meeting Template calendar, head over to the Meeting Templates page of your Mixmax dashboard and select the Meeting Template you'd like to change. You can then edit the text in the Page Title field. After that, your new text will appear at the top of your Meeting Template calendar when viewed on the web. Still having trouble? Send us an email at success@mixmax.com.